If you have shopped our catalog or website you know we have Halloween fever – and although our Fall/Halloween catalog isn’t here for long, it is full of charm and style. 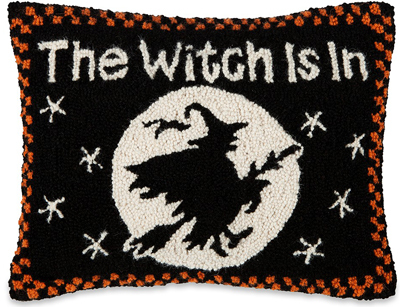 Today we are spotlighting Halloween items that will make this October 31st the most decorative one yet. And since we couldn’t quite narrow our selection down to five, we’ve included a bonus sixth item to Spotlight. Let’s get into it. These two pillows each bring something different to your festive home. 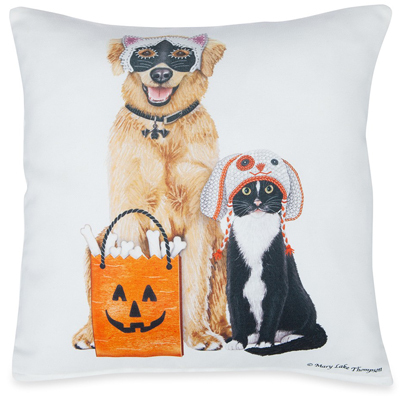 Artist Mary Lake Thompson designed the one on the left, which features a dog and a cat all dressed up for trick-or-treating. 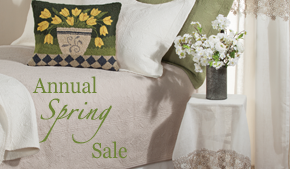 This pillow is soft enough for your indoor furniture and fade resistant in outdoor spaces. The hooked wool pillow below should only be placed indoors, but its simple design allows the seasonal message and imagery to shine. Lighting that sets a spooky mood is always a great addition to Halloween displays, and since we are in the midst of our Lighting Sale, now is a great time to browse our Halloween lighting. 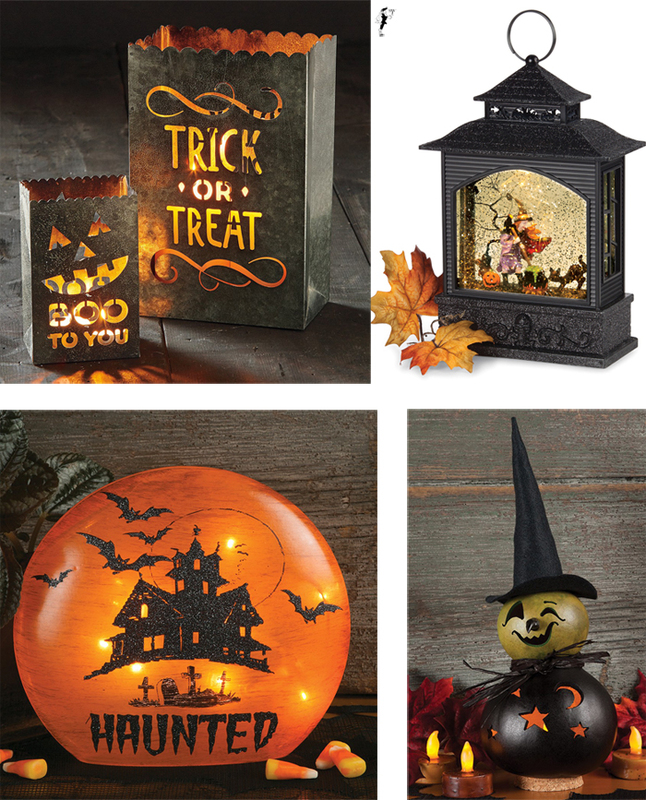 For example, our Halloween Tin Luminaries, Witch & Cauldron Lantern Light, Haunted House Accent Light and Fiona Witch Gourd Tealight Holder all offer different ways to illuminate your [haunted] house. Whether you prefer a light that plugs in, runs on batteries or is lit up with a candle, you’ll find the perfect spooky lighting solution in our catalog. Pumpkins, witches, black cats, all of the above – what are your favorite Halloween themes and symbols that you just have to incorporate into your All Hallow’s Eve decorating? Share in a comment below and make sure to catch the savings in our Fall catalog before they are gone (ends September 13th). This entry was posted on Wednesday, September 5th, 2018 at 1:19 pm	and is filed under Decorating, Holiday Decorating, Lamps and Lighting, Pillows, Seasonal Decorating, Thematic. You can follow any responses to this entry through the RSS 2.0 feed. You can leave a response, or trackback from your own site.